Last Friday you saw the United States launch the first salvo in the long-promised trade war with an initial shot of $34 billion in Chinese goods. They came from 818 different categories of products. China immediately responded with its first official round of retaliation on a number of American imports that matched the $34 billion per a Reuters report. It means that the long-feared trade war between the world's largest and second largest economies has finally begun in earnest. This is the starkest warning so far that you need to protect your investment and retirement portfolios from a downward spiral in the global trade regime that has built today's prosperous world economy. Gold makes sense in an IRA because it has such a long history of safeguarding assets in times of trade wars (and economic malaise that they tend to create). Now is a good time to start thinking about the top five gold coins for investors. Gold can and will protect you in this dangerous time for the U.S. and global economies. It was midnight in Washington D.C. when the administration of President Trump officially imposed the first-round of tariffs. China responded to the trade barriers by matching them as closely as it could within two hours. The Chinese are erecting a comparable barrier of 25 percent duties on their selected items in a determined effort to match the U.S. import tariff rate, per the Xinhua Chinese official state news agency. These includes pork, soybeans, and electric vehicles from the U.S. Besides the bellicose rhetoric, the Ministry of Commerce warned that it would officially report the United States at the World Trade Organization. They accused the U.S. of having broken the global laws that govern world trade. The immediate consequences of the enacted tariffs and promised counter tariffs were that the futures for Chinese soy meal tanked more than two percent in the afternoon trade on Friday. They did manage to recoup the majority of these losses in a violent, whipsaw action. The volatility resulted from temporary confusion in the futures markets as to whether or not the Chinese government had already erected the promised soybean tariffs and those on the additional American goods. Soy meal is only one particular item that economic experts anticipate will become more costly in China as a result of rising soy meal prices on the futures markets. It could be especially acute as the United States was just set to capture the prize of main soybean supplier to the country. Besides hurting Chinese consumers and casting doubt around Chinese investment markets, this injures American farmers and U.S. exporting businesses as well. Despite the fact that the danger is already growing and the damage is just beginning to spread, no signs have emerged that the two opposing sides will manage to agree on a trade dispute compromise in the near to intermediate future. This is only the beginning though. Even though Washington D.C. and Beijing have engaged in a few high level talk discussions since the beginning of May, the U.S. administration is pushing forward with a larger list of Chinese imports it is targeting for more tariffs. On Thursday the president warned that there are still another second round of tariffs which will take effect in another against China in two weeks. The President's statement is a sobering reminder for China that the U.S. is prepared to see the trade war through if necessary. China stands to lose the most in Asia, but other regional countries will be impacted by the spreading tariffs as well. Taiwan, Singapore, Malaysia, and South Korea (as well as other Southeast Asian nations) represent the biggest so-called “intermediate goods” exporters to China. The Middle Kingdom next takes these goods and assembles them together to make the final goods that become transshipped to the United States. Economic problems in Southeast Asia have an unsettling historical tendency to shake the entire world's economy and stock markets. It was only back in the late 1990's that you saw an economic pullback because of the Asian currency crisis. The export-centered manufacturing powerhouse economy of Germany has earned bitter criticism for the trade surplus it has created at the expense of other European countries and the United States. Partners have leaned on Berlin to press them to spend more money domestically and increase their imports in the process. This trade war dispute between the United States and China has shaken U.S. and global financial markets severely. Stocks, commodities (ranging from coal to soybeans), and currencies are all bearing the brunt. This is why you see wild volatility swings and sometimes steep declines in equities markets these days. It explains why you need to pick up some IRA-approved gold quickly. The IRS now will allow you to take advantage of the safest top offshore gold storage locations for your IRA. 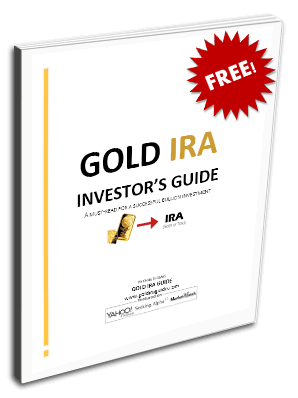 You should review the gold IRA rules and regulations now while there is still a good gold price available.